Colour: Navy 85/45 Cotton/Linen Fabric width: 112cm - 114cm. Dry clean Onl..
Colour: Swedish Blue 85/45 Cotton/Linen Fabric width: 112cm - 114cm. Dry c..
Colour: Sea Foam 85/45 Cotton/Linen Fabric width: 112cm - 114cm. Dry clean..
Colour: Chambray Blue 55/45 Linen/Cotton Fabric width: 112cm - 114cm. 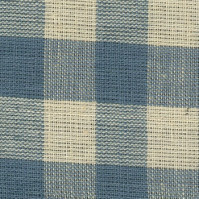 Dry ..
Colour: Delft Blue 55/45 Linen/Cottonn Fabric width: 112cm - 114cm. Dry cl..